A loan of $1,100 helped a member to buy piglets. 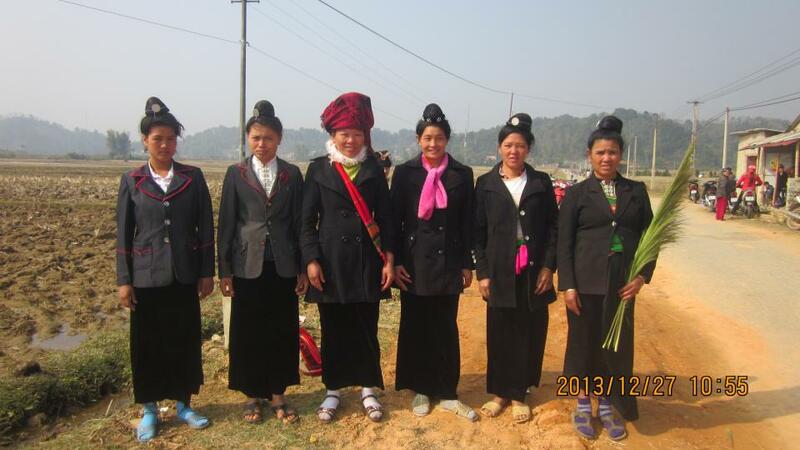 Mrs. Huong, a 55-year-old woman, is the team leader of the Co Luong Group which consists of six Thai ladies. She works as a farmer with plenty of agriculture activities, such as: cultivating rice, vegetables, corn and breeding pigs, chickens and fish. She is living with five other members of her family, including her husband, a son and his wife, who are also farmers, and her two grandchildren who are in secondary school. This is her 4th loan cycle in the Anh Chi Em Program. She said that the loans in previous cycles, which she used to invest in breeding pigs, brought high profits to her business. However, several months ago she faced the difficulty of foot-and-mouth disease in her pigs and lost income from the pigs. This time, she wants to use a portion of the loan to buy piglets. She hopes that through this loan and the training from Anh Chi Em, she could earn a higher income for her family so that her grandchildren could attend school fully and go to college in the future. In the picture, Huong is holding a herbaceous branch.